Buy your Microsoft Publisher 2019 from our online shop now with the best sales condition! • Authentic and immediate free download link! Install Microsoft Publisher 2019 and discover a modernized designing tool and enjoy its impressive features. What are the new features of Microsoft Publisher 2019 ? Microsoft Publisher 2019 is a desktop publishing tool reserved only for Windows 10 OS users that allows its users to create a variety of document types such as flyers, postcards or professional product presentations. This Microsoft Publisher 2019 version offers many pre-existing templates and layouts that will make the user’s job easier with further new advanced designs in comparison with its precedent version the Microsoft Publisher 2016. 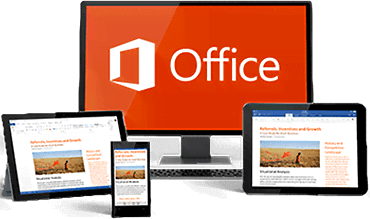 The new edition of Microsoft, Publisher 2019 offers creative and elegant formats and layouts. With the latest release Microsoft Publisher 2019 you can now create unique designs that deliver more precise designs purposes making sure that everything you have designed remains exactly the way you have planned it across different mediums such as emails or physical prints. Publisher 2019 lays the ground for any material you can think of and for any purpose, be it pamphlets, labels or professional newsletters. You can do it all using a plethora of pre-designed templates. Microsoft Publisher 2019 has defined sharing the newly created designs as its ultimate goal when using the Publish tool, and it is never been more diverse nowadays. The Microsoft Publisher 2019 users can now publish their work as pixel-perfect printouts, send professional-quality email publications, or export to industry-standard non-editable formats. After the confirmation of your order, you will instantly receive an email that contains the license key and the download link to the software.